Construction of two new nuclear plants in the southern Iranian city of Bushehr, home to the country’s only current working nuclear power station, is on schedule and going to plan, the Islamic Republic’s atomic chief said on Monday. Ali Akbar Salehi, head of the Atomic Energy Organization of Iran, said on Monday that the latest additions to its nuclear portfolio were “moving ahead in an excellent manner,” according to Iranian media reports. “I was in Bushehr two or three days ago and the Bushehr 2 and Bushehr 3 power plants are being constructed,” Salehi reportedly said at a cabinet meeting in Tehran. The project, which will cost more than $8.5 billion and is being built with Russian assistance, is expected to go online by 2026. 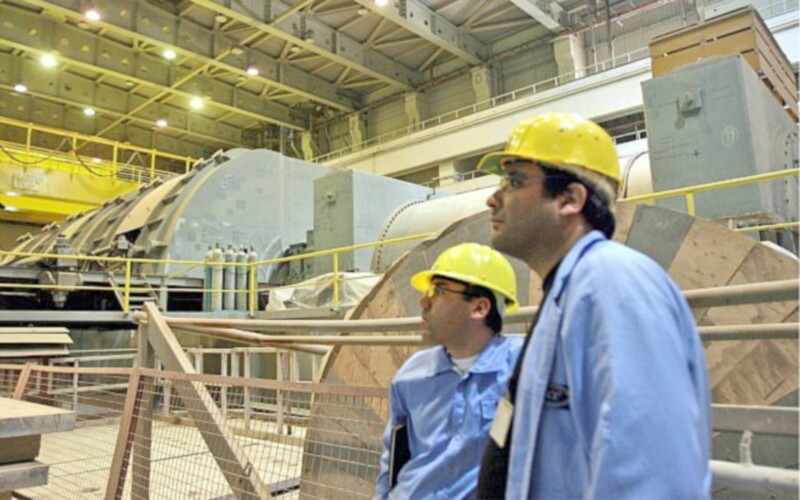 Iran’s sole operational nuclear reactor, also built with Russian assistance, currently produces 1,000 megawatts of electricity. The new plants will produce an additional 1,057 megawatts. Western nations do not view the Bushehr plant as a proliferation risk because Russia supplies the fuel for the reactor and takes away spent fuel that could otherwise be used to make weapons-grade plutonium. Earlier this year, Salehi said that Iran had deceived nuclear inspectors by quietly purchasing replacement parts for its Arak nuclear reactor while it was conducting negotiations for an international agreement under which it knew it would be required to destroy the original components. US President Donald Trump pulled out of the nuclear deal in May last year but the other signatories Britain, France, Germany, Russia, China and Iran have all agreed to try to keep the pact alive on their own. Trump insists the original agreement did not go far enough in curbing Iran’s nuclear weapons ambitions and wants to renegotiate the JCPOA with stricter terms. In the meantime Washington has imposed heavy sanctions on Iran that could weaken the ability of the remaining parties to maintain the deal. Last month Salehi said Iran has begun “preliminary activities for designing” a modern process for 20-percent uranium enrichment. Restarting enrichment at that level would mean Iran had withdrawn from the 2015 nuclear deal. Tehran has in the past warned that if the remaining parties are not able to keep up the trade and financial benefits the deal provided, it will also pull out and restart controversial parts of its nuclear program.